Making the jump from worker bee to queen bee of your own company is life-changing. As the boss of your own company, you won’t have anyone else telling you what to do. Sounds pretty great, huh? It most certainly is and a goal many individuals strive to obtain. With great responsibility comes great stress. It’s hard not having someone managing you. This means you are now relying on yourself to set goals, deadlines and incentives to grow your business. The responsibility of staying motivated becomes a game of personal discipline. In a perfect world, we would wake up every day motivated to accomplish our daily tasks with ease. This isn’t always the case. We recently gave some tips on how to be a successful entrepreneur. Below are a few tips on how to stay motivated even when you don’t want to. Comedian Michael Jr. describes the power of knowing your “why” in all that you do. “When you know your ‘why’, your ‘what’ has more impact, because you’re working towards your purpose.” When starting a business, you need to know why you are doing it and who you are doing it for. If you cannot find the importance and meaning of it, it will never succeed. Knowing your purpose and your why will inspire you to take on challenges that will expand your company. When empowered by a clear purpose and mindset, there is much your company can achieve. Having a designated routine every single day is ideal to keep yourself motivated. Consistency is key. Develop good habits and keep yourself accountable by leaning on things that inspire you to keep moving. Good habits can make or break your productivity level. If you learn how to control your motivation and turn it into sustainable energy, you’re set for life. Don’t set yourself up to make a million dollars your first year; it might not work out for you. Instead, start with smaller and more frequent goals. That way you have measurable milestones in place to track your progress. You might actually feel more accomplished when you achieve more small goals. Sometimes taking small steps will help you move towards a brighter future. It’s great to dream, but it’s more productive to be realistic. There will be times when it might seem bleak and pointless. Don’t let these moments get to you. Always look at the bigger picture. When you aspire to something, you dream big. So why get caught up in the small things? You are working towards a greater goal. Even if you have 50 short term goals, they will add up in the end. Starting a business can be a huge challenge. There are many things that go into it, and there are many times when you might want to give up. The key is to keep moving forward. 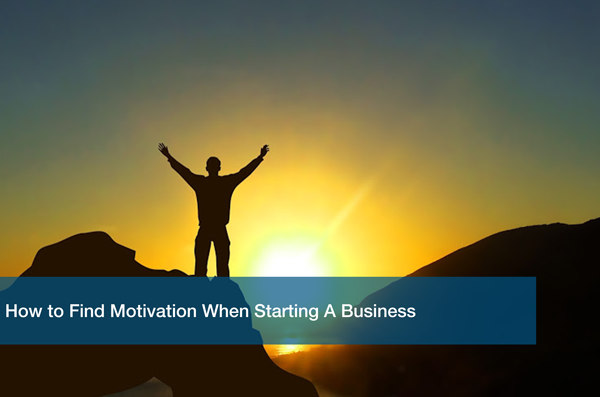 Businesses aren’t started in a day, or a month, or even 6 months. It takes hard work and dedication to get to that end goal that you envisioned when you started. Don’t lose sight of the bigger picture and don’t lose yourself in the process. This is why ITC takes care of all your technological needs so you can focus on your business. Not sure where or how to get started? Schedule a Free IT Analysis with one of our experts and we’ll help setup your technology so you can get back to what really matters: your business.